Greg Chism — a.k.a. Geek to Freak — might be familiar to those of you in the landscaping industry that find themselves checking out industry-related videos on YouTube. 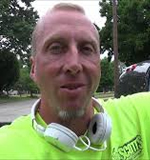 Greg is a lawn-care business owner, but is better known for his popular YouTube videos which cover various topics on a variety of different YouTube channels. What began as an outlet for Greg — as a personal challenge to himself — has become an unexpected launch pad for him and his businesses, and has begun to bring in a considerable amount of revenue. What does this mean for the average landscaper? Simple. YouTube is free, easy-to-use and a potentially explosive medium on which to promote yourself and your business.